Day 5: We have come to the end of Week One - 20 Days to Organise and Clean your Home Challenge with The Organised Housewife and what a week it has been! Both kids got ear infections, Master M has bronchiolitis and I now have a chest infection! Call me mad but I managed to tackle the Kitchen, Master Bedroom (my WORST area), Laundry, Lounge and today Floors & Pantry! I feel FANTASTIC with what I have achieved this week...but definitely ready to kick back and relax with my family!! 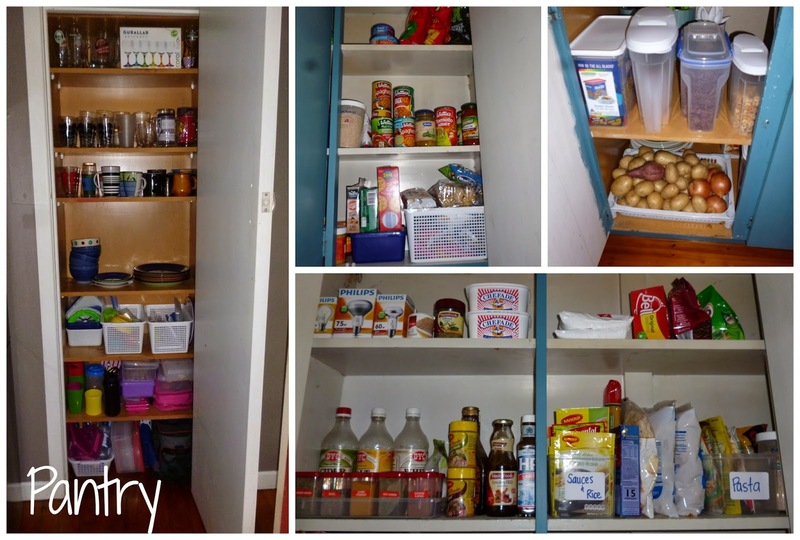 Todays task involved cleaning floors (vacuuming & mopping) & organising the pantry. Now that Master M is getting more mobile (commando crawling), I find myself vacuuming (especially the lounge) more and more! I will vacuum the lounge every 1-2 days (if not more in a day) and then the whole house once a week (or more if I need to). 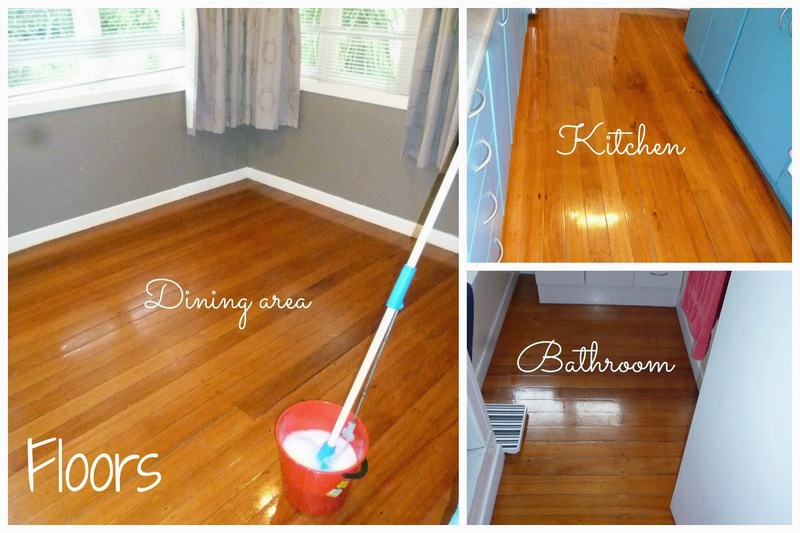 I have never been a big fan of mopping (it's one of those mundane jobs) but when I see the shiny, clean floors, its all worth it! 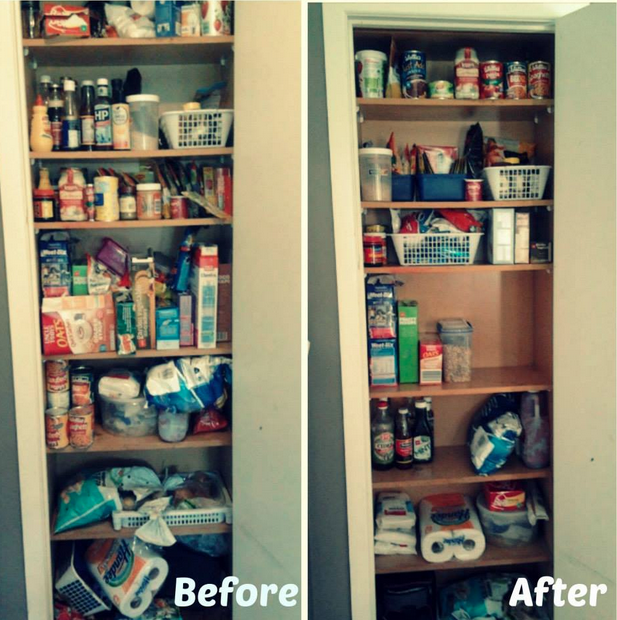 And this is my Pantry now :) Clean & Organised! I am absolutely loving my Organised and Clean Home and its only been a week! Looking forward to what Week 2 has in store for us! Now it's time to kick back with my family & enjoy the last couple of days of the School Holidays!